Steph Curry won Western Conference Player of the Week again last week, averaging 30 points, 8 assists per game, and 63 percent on 3s. Yawn. Just another week at the office. Over the weekend my Warriors won their 60th game of the season and clinched the top seed in the Western Conference this year, and they lead the Atlanta Hawks by 3 1/2 games in the race for best record overall and home-court advantage throughout the playoffs. There is not much more they can accomplish in the regular season; at this point it’s all about being ready for the playoffs, which will begin on April 18 or 19. So I don’t plan on writing about them again until then, but in the meantime, for my own reference as much as anything, I wanted to post links to some of the cavalcade of glowing press the Dubs have inspired lately. 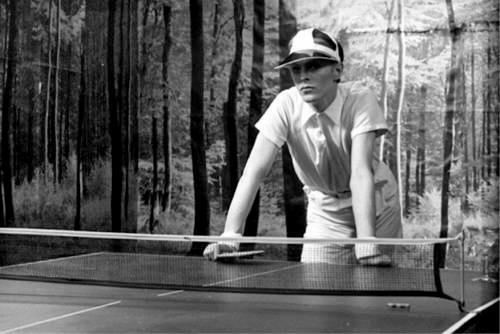 The band had wanted to invite Bowie for a [ping-pong] match during the sessions but thought better of it: this was a serious rock artiste, after all. 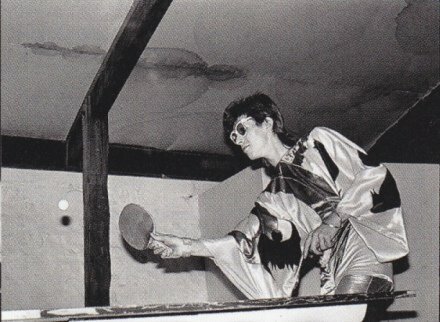 Later, they read that Bowie was actually an avid ping-pong player and once had an epic match with Lou Reed. Which was enough to make me pretty happy. 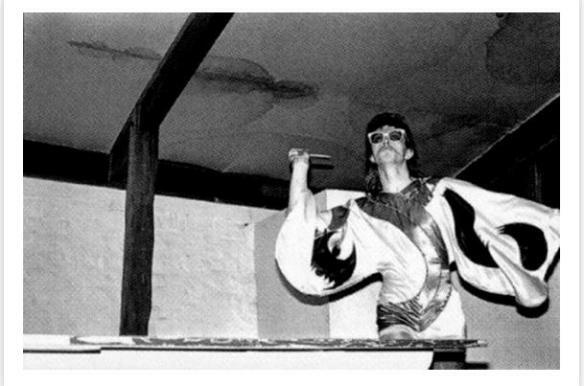 Note the Batman symbol on David’s kimono. Awesome. This week, they mathematically clinched a playoff spot in the middle of a game against the Lakers, when the Oklahoma City Thunder lost to the Dallas Mavericks. Everyone glanced at the scoreboard, shrugged, and went about their business. Is it vinyl, CD, or wax cylinder in there? We are not living in a golden age of music right now. Sure, there is good music being made; always has been, always will be. But there’s nothing like the depth and breadth of the 60s and 70s, or even the 80s and 90s. You could come up with a thousand reasons why, from the decline of Western civilization to the rise of downloading and the vegetative state of the music business, but it hardly matters at this point. We all have access to so much music, no one now living will ever run out of new things to explore. So in a sense, who cares if not much great stuff is being recorded these days? We don’t really need much more. But one place where the boundaries are still being pushed, and new summits still being reached, is in the area of hype. 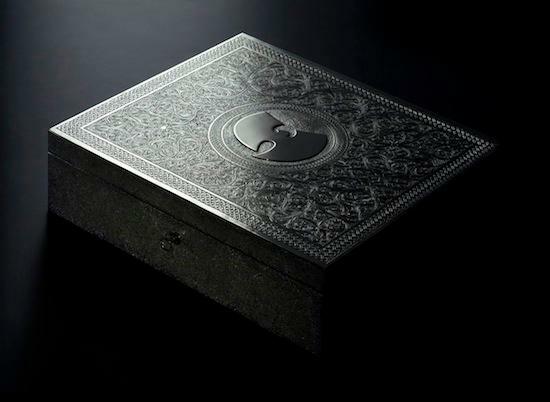 Last week, for instance, the Wu-Tang Clan held a public event at a museum in Queens, New York to preview their new album, Once Upon a Time in Shaolin. Why would people crowd into an auditorium and consent to have their phones confiscated to hear 13 minutes of music by a group whose previous release – A Better Tomorrow, still just a few months old – did not exactly set the world on fire? The sole existing master of Once Upon a Time in Shaolin, of which all backups and digital files have been destroyed, is available through the New York auction house, Paddle 8. It is presented in a hand carved nickel-silver casing designed by the British Moroccan artist Yahya and accompanied by a 174 page volume containing lyrics, credits and anecdotes on the production and recordings of each song. He will turn your money green. 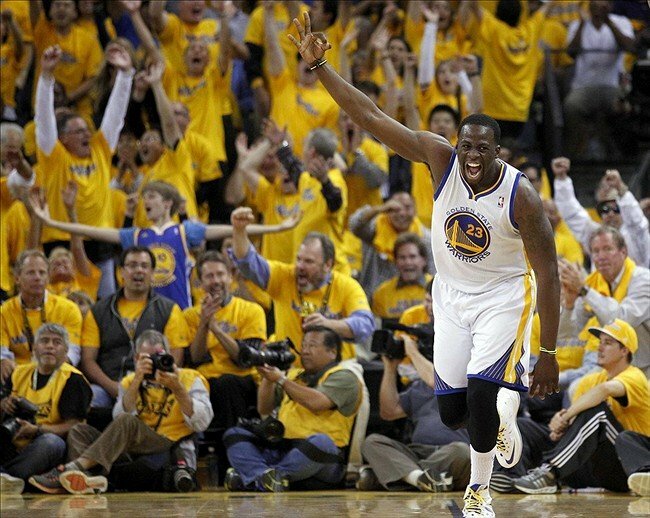 Do You Love Draymond Green Like a Family Member? So much of the NBA belongs to people who are gifted beyond comparison and talented beyond comprehension — guys who make impossible skills look routine. 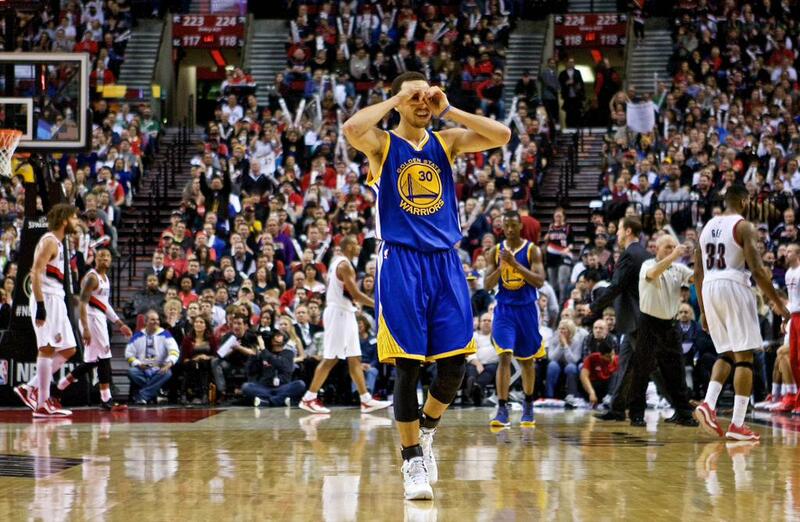 Guys like Steph, Klay, even someone like Harrison Barnes. I love Draymond Green like a family member because he was none of those things. He was the regular dude from Michigan who might one day be able to foul people professionally, and through sheer will and self-confidence, he has made himself as irreplaceable as anyone. This is the goddamn American Dream, at least for the 99 percent of us who shouldn’t bother dreaming. But let me go ahead and add a few words of my own. 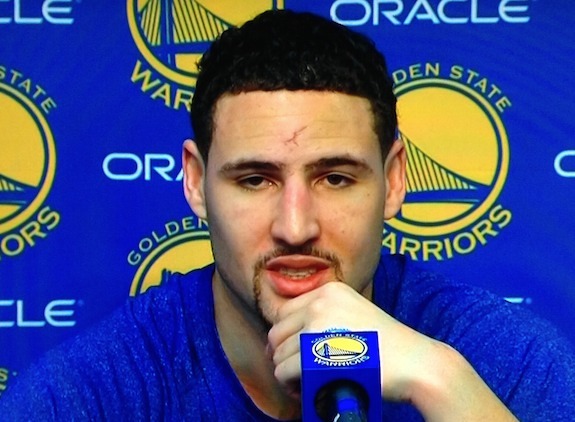 Klay got his Harry Potter scar from a J.R. Smith elbow. As for Klay, what I like most about him is his matter-of-fact demeanor. He rarely shows emotion on the court (except when dropping 37 points in a quarter, and really, isn’t that a good time to flip out a little bit?). In a sports world overrun with hyperinflated egos, it’s refreshing to see a guy with superstar skills and a “just-doing-my-job-here” attitude. Powered by WordPress v 5.1.1. Page in 0.099 seconds.